Save the Date!!! Announcements!!! Cover Reveals!!! 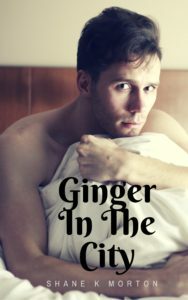 I am excited to announce that I am joining with a group of authors for the second BIG GAY FICTION GIVEAWAY starting May 22nd and running until May 29th. I will post the link for you to get all of these novels and short stories for free! Including mine. Here is the cover and blurb for steamy short story GINGER IN THE CITY. Ben, a fashion photographer living in Los Angeles is still trying to get over a breakup that left him broken and lost. He has been meeting men on Grindr and Scruff and it has left him feeling even lonelier than before. He finally feels like he might be ready for more. Being a ginger in the city of angels is never easy. Will he be open to the possibility of love? Or will he choose to be alone for all the wrong reasons? Also my novel PRIVATE WATERLOOS will be launching on Amazon too that same week. And now I can show you the cover! Thats right! TA-DAH! Cover reveal party time! Look for links to purchase soon. It will be announced via social and here on the website. Who is this handsome model you may ask. Well, he has been the model for all of my books and his name is Parker and he is a multi talented friend of mine. Keep your eye out for more announcements and links soon! The Ginger in the City! Ps. That short story is not about me! Previous: Previous post: What are you reading? Next: Next post: BIG GAY FICTION GIVEAWAY IS LIVE!!! !